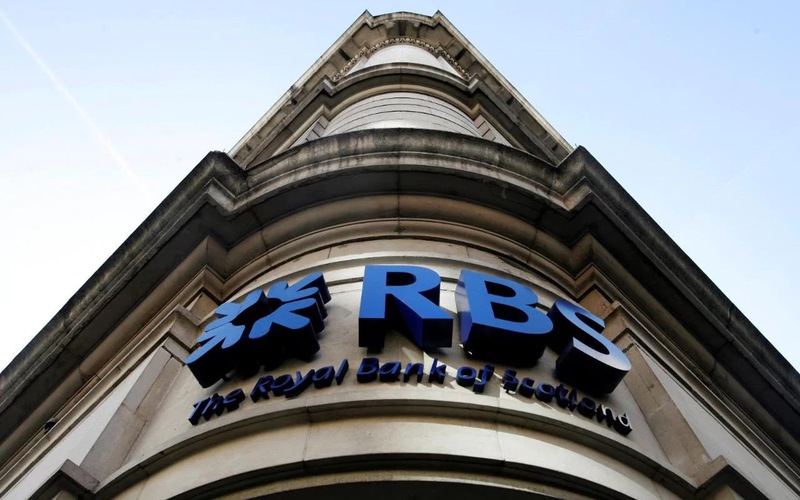 In Financial Regulation Matters we have covered the story of the disgraced GRG unit within RBS from the moment that the scandal was publicised, and recently that case has taken a particularly disappointing turn. In other news from the Banking sector, Lloyds have been forced to set aside even more money to cover PPI claims made against them, bring the prospective to total to more than £19 billion. In this post, we will assess these stories and examine what they may mean for the continuing lack of trust that the public have in the Banking sector. Starting with RBS, the bank have been in the midst of a number of legal claims regarding the conduct of its infamous GRG unit, which was set up to ‘help’ Small and Medium Enterprises (SMEs). Last month the bank managed to fend off a claim from a Real Estate group regarding the mis-selling of interest rate swaps and manipulated interest rate benchmarks, and a couple of days ago managed to fend off a claim in the High Court from an SME regarding its treatment via the GRG unit. Yesterday, however, came the news that many affected SMEs were dreading, in that the FCA are to take no disciplinary action against RBS for the conduct of its GRG unit. In explaining the FCA’s decision, CEO Andrew Bailey stated that the regulator lacks the powers to take action, although this was followed by the statement that the lack of action does not condone the actions of the GRG unit. Bailey suggests this based upon the understanding that whilst the FCA does have the power to punish senior management within banking institutions, those powers only came into force in 2016 and could therefore not be used retroactively. This decision falls in line with many other legal conclusions that suggest that whilst the GRG unit was clearly deficient when it came to standards, there was little in the way of overtly illegal action. This is the viewpoint put forward from a number of avenues, despite the damning report that RBS fought to keep from the public, and revelations that include leaked memos that declare that GRG were advising its staff that ‘sometimes you have to let customers hang themselves’ and ‘missed opportunities will mean missed bonuses’. This has led, understandably, to considerable backlash since the news broke that the FCA would not be taking action. Nicky Morgan, Chair of the Treasury Select Committee, immediately stated that ‘it will be disappointing and bewildering for those who got caught up in GRG’s actions that the FCA is not able to act. This demonstrates the need for a change in how lending for SMEs is regulated’. Affected customers have also been quick to voice their anger at the announcement, with one customer stating that ‘the Government have got to get a grip’. So, whilst RBS celebrate the findings of the High Court and the FCA, the question is what will be the effect of these continuing scandals that are going without punishment? The actions of RBS are rather remarkable when one takes a moment to look at them. Not only are the bank attempting to close the compensation scheme and cap it at £125 million, despite the investigation into affected customers not being complete (only 10% of customers who may have been affected have come forward), but the bank is continuing the usage of the term ‘legacy’ to distance the bank from its previous actions. Sir Howard Davies, the Chairman of RBS, stated that ‘we await the publication of the FCA’s full account and will reflect carefully on its findings to learn any further lessons from what was a hugely challenging time for the bank, its customers and the wider economy’. The tragedy is that the ‘challenging time’ for the bank was supported by the British taxpayer, and for the victims of GRG and the wider economy, those ‘challenging times’ continue to this day. The trust that the public have in the banking sector is incredibly low, and this is because the rate of scandals that are emanating from the sector is showing no signs of abating. Over at Lloyds Bank, who are having massive issues with their own version of GRG (albeit via the purchase of HBoS), it was announced today that the bank have put aside another £550 million to cover claims for mis-sold PPI. Although the bank announced this alongside strong financial figures – a pre-tax rise in profits of 23% to £3.1 billion in six months – the figure of £19.2 billion as a prospective figure for PPI compensation is difficult to ignore. It is also worth noting that this figure represents the highest figure for all British banks and the compensation due to customers who were mis-sold PPI, The bank, rather predictably, avoided commenting too much on the extra provision, but it is a damning development for the culture within the bank – although, obviously, the bank will be quick to write this off as ‘legacy issues’. In reality, these are not ‘legacy issues’. In fact, they are representations of a culture that has persevered throughout one of the largest financial crashes in modern history. Yes the banks are not able to perform in exactly the same manner, but the sentiment the banks still display when treating the victims of their transgressive policies ‘with contempt’ is truly remarkable. It often goes unsaid that banking does not have to be like it is, where the actions of the banking companies are almost adversarial to everybody else but themselves. The trust that the public have in the sector will have been damaged significantly during the Crisis – this we know – but the way in which the banks are dealing with the post-Crisis era is arguably much worse. To transgress is one thing, but to take such an adversarial approach when it has been proven that one did wrong is something which can damage the future relationship between the public and the sector irreversibly. However, there is a counter-argument to this, and that is that relationship between the banking sector and the public is absolutely irrelevant. It is perhaps the case that people would like that relationship to mean something, but from the perspective of the leading banks there is very little to suggest it is the case. One may argue that a breakdown in trust on behalf of certain banks, say RBS, would damage their reputation, but in reality it is riskier to deal with the smaller banks since the Crisis, despite deposit protection schemes. The Crisis taught us all that the larger the bank, the safer it is, so why would the banks care about the relationship with the public? It is worth debating, but it is certainly the case that the ‘regulatory capital’ argument no longer applies – the banks have been called ‘too-big-to-fail’, but perhaps it is more the case that they are ‘too-big-to-care’. Keywords – Banking, RBS, Lloyds, UK, FCA, Business, @finregmatters.